Place the mint sprigs in a large heatproof jug/pitcher. Boil the water and pour it into the jug/pitcher. Let it steep for 30 minutes. Once the water is warm (not hot) add in a tablespoon of honey and mix until the honey has dissolved. Place the jug in your fridge to chill. Keep it in the fridge until you are ready to serve. Right before serving, squeeze in some lemon juice (don’t put too much, maybe ¼ of a lemon – taste it first before adding more) and mix well. 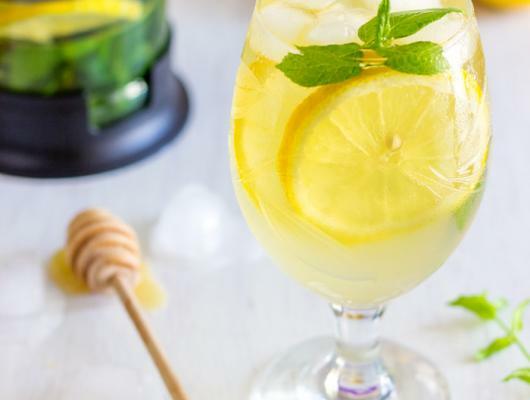 Serve with a few slices of lemon, mint leaves and ice. 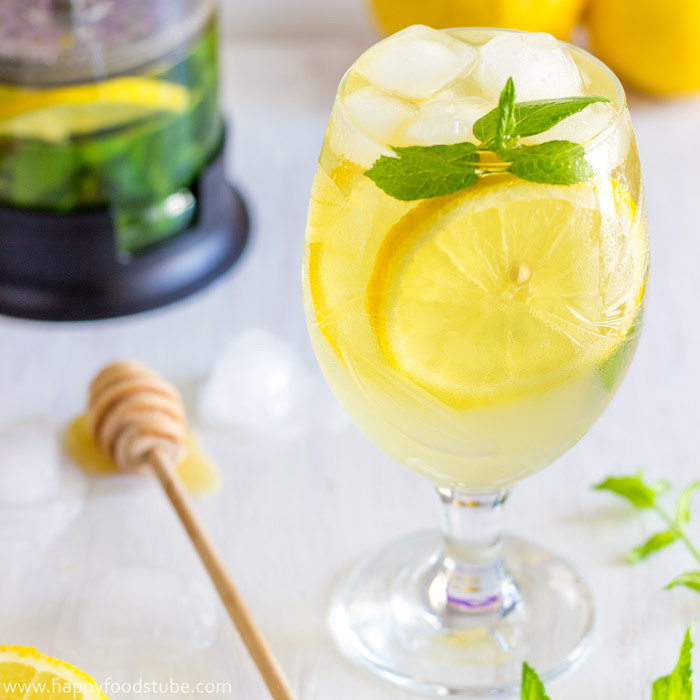 This fresh mint and lemon iced tea is a great summer drink! It’s refreshing! It’s healthy! It’s low in calories!